You never know for certain whether or not you are adequately prepared for an accident until one happens. You might already have a policy that you initially took out when you first bought your home, but you may have not revisited your coverage since then. Make sure that you have adequate protections in place to ensure that everything is covered when an accident happens. You can safeguard your home with home insurance plans. 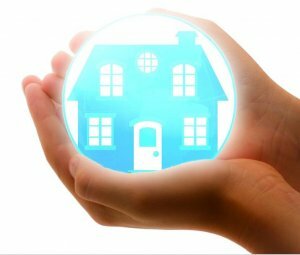 Homeowner’s insurance companies in Texas have plans consisting of protections to safeguard your belongings and home if your home sustains any damage due to an accident. The cause for the damage can result from any type of peril such as a theft or a fire. Your homeowner’s insurance Texas policy will cover any damage to your property or any injuries sustained on the premises resulting from an accident. The coverage available through home insurance companies in Texas is extended to different parts of the property. Your dwelling coverage protects the home and garage. Structures are also covered as part of the policy. Structures are sheds, barns, pool houses and detached garages. A structure is a building that is on the property but is not directly attached to the building. Up to 80 percent of the coverage provided by some of the best home insurance companies in Texas will cover the detached structure. Your personal property is also covered in your policy for up to 75 percent of your dwelling limit. Loss of use is another form of protection available in your homeowner’s insurance companies Texas policy, which covers temporary relocation expenses if you are unable to stay in your property. Liability insurance protects your assets if you were to be sued by someone. Medical payments are also covered in your policy. You may have an unwanted or uninvited guest injured on your property, and you could face a lawsuit if they are injured on the premises. Your homeowner’s insurance Texas policy should cover these medical payments. You should understand the amount of coverage your property needs. You want liability coverage to shield against lawsuits for any injury or property damage claims made against you. You should have substantial coverage in place to protect the assets of your home. You should ideally have more than $100,000 in liability protection for your home. Coverage valued between $300,000 and $500,000 are strongly recommended. You can take out an umbrella policy if you have at least $300,000 in coverage. Your umbrella policy is in place to cover any damage valued above the amount of coverage provided in your homeowner’s policy. After the initial policy funds have been exhausted, the umbrella policy kicks in to cover additional damage. The homeowner policy covers the property, home’s contents, and lawsuits stemming from an accident. Additional protections like loss of use cover expenses if you must temporarily relocate as a result of an accident. If you are unsure of whether or not you are fully covered in the event of an accident, contact your local agent today.